Robin DiGiammarino is a conflict specialist and founder of Lodestar Mediation. An independent consultant, mediator and trainer, Robin’s passion for the field of alternative dispute resolution grew from her work experience in health care and public service. Robin is as a neutral for workplace discrimination cases filed with the Boston Office of Equal Employment Opportunity Commission (EEOC). She mediates cases filed in the Commonwealth of Massachusetts District Courts including civil, harassment prevention orders and evictions. For residents residing at MassHousing properties sites in Massachusetts, Robin provides mediation and training for residents and management. A guest lecturer, mentor, coach and trainer, Robin provides clinical instruction to students studying mediation at Suffolk University Law School, Boston College Law School and Fletcher School of Law & Diplomacy at Tufts University. Robin is experienced assessing, designing and implementing alternative dispute resolution processes to help clients manage and resolve conflict. She has a clear understanding of conflict management theory and practice, and experience providing dispute resolution services to companies and institutions in conflict. Lodestar Mediation trainings and workshops are tailored to meet the needs of those seeking to learn conflict resolution skills. Clients include US federal government employees, human resource professionals, executives, managers, high school students, allied health professionals and state university employees. Robin holds a Master’s Degree in Occupational Therapy from Boston University. She brings her eighteen years of experience providing direct patient care, departmental management and clinical supervision to her work in the field of conflict resolution. 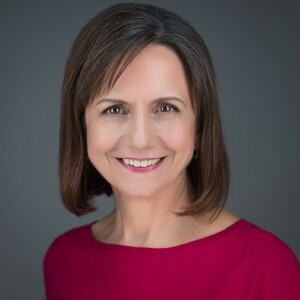 Elected to public office by her community in Lexington Massachusetts, Robin served as member and chairperson of the Lexington School Committee for five years, providing stewardship for a public school system with a multi-million dollar budget serving over six thousand public school students. A believer in life-long learning, Robin has completed advanced training in workplace conflict, landlord/tenant disputes, divorce mediation, train the trainer as well as advanced training in negotiation through the Program on Negotiation at Harvard Law School.